SD Cabin Networking Systems fit a wide variety of aircraft, passenger, and crew needs. Compare various hardware systems to discover which system is best for you. Raising the standard for inflight connectivity. 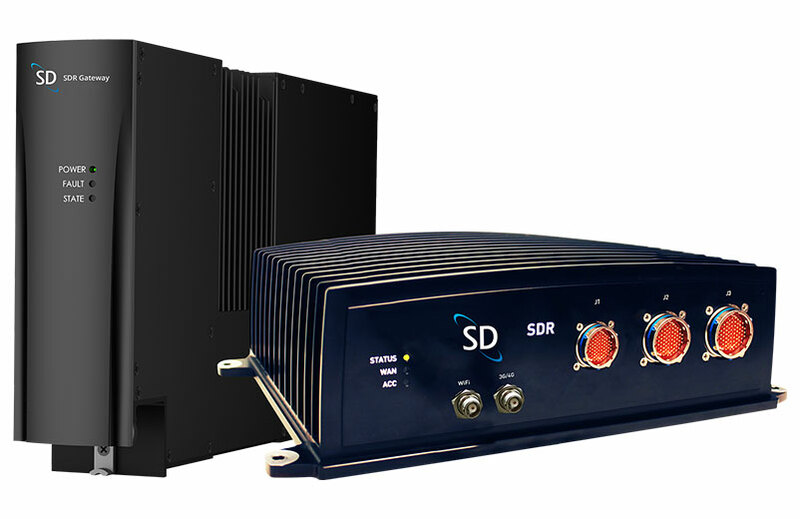 The SDR series of products – the SDR and SDR Gateway – provide the ultimate flexibility in connectivity for the business jet cabin, and are built to support the future of airborne communications for owners, operators, passengers and crew. The SDR and SDR Gateway differ in form factor but they share a common software platform that provides more capability and power to users than any other aircraft router system. The advanced SDR technology allows for unique customization of the onboard network, so you can tailor your network for your connectivity needs. This SDR Series also provides the platform to the full spectrum of SD’s value-added services for the cabin. Features range from simple voice capabilities to complete office capabilities—including popular telephony applications, 4G/LTE communications services, and aviation certified WiFi. While the SDR and SDR Gateway are designed to optimize and enhance the onboard internet experience enabling laptops, tablets and smartphones in-flight, the products also enable the flight department on the ground too. Once installed, the SDR and SDR Gateway become the platform with which aircraft and flight departments become synchronized. Because they interface with onboard avionics, the SDR series can extract operational data from the airplane, including telemetry and position data, providing useful aircraft performance information and real-time data in SD Pro. The SDR Series’ small footprint and range of capabilities means more aircraft owners can benefit from inflight connectivity, including light- to medium-jets. The SD Hub Series packs big technology into small, easily installed packages. If it’s speed and range you’re seeking, the Hubs are built for your aircraft. The SD Hubs are powerful and flexible connectivity platforms. The Hubs meet the needs of small to mid-range aircraft looking for a single bearer SATCOM router, and can also pair with the SDR Series Routers for extended capabilities. These platforms enable robust connectivity, and also delivers many SD value-added services to the cabin. When combined with the SDR series, SD Hubs add functionality and enhance connectivity performance on ultra-long range aircraft. The Hubs add additional interfaces where they are needed, supporting high definition media products and applications for passengers, and eliminating buffering and gaps in cabin coverage. With the smallest and lightest form factor in aviation, the SD Hubs improve WiFi coverage in the cabin and simplify installation. The SD Wideband Antenna is designed to cover working frequencies in the 700 – 6000 MHz spectrum (GSM/CDMA/LTE/GPS/UMTS/WiFi bands). It extends WiFi range and increases performance through superior gain and efficiency with minimal return loss. The antenna can be mounted almost anywhere throughout the aircraft to provide adequate WiFi coverage. The fax adapter unit (FAU) is a simple, reliable airborne faxing solution that lets operators send and receive faxes worldwide without third-party equipment or software. 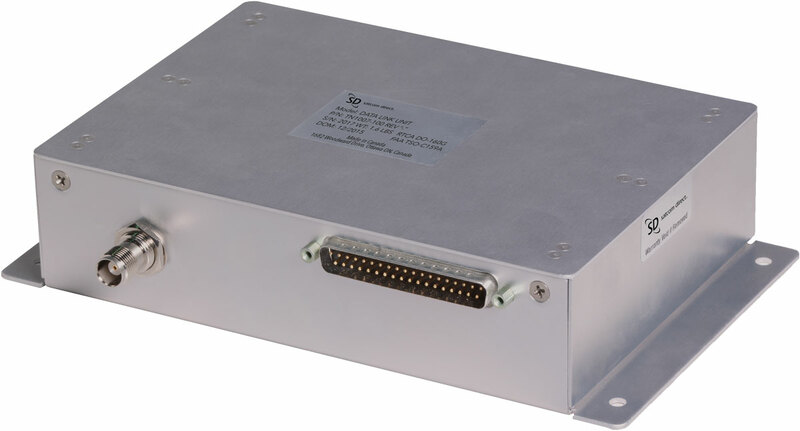 The analog interface unit (AIU) enables operators of Gulfstream III/IV, Falcon 900 and other such aircraft to extend the useful life of their legacy SATCOM systems and cabin paging systems. The Cabin Network Distribution Unit (CNDU) is a 5-port, fast Ethernet switch with Power over Ethernet (PoE) to power SD Avionics Stylus™ handsets and WiFi charging cradles. SD has heard the voice of our customers who express concerns about being confined to specific satellite service providers. There are inherent limitations when it comes to network selection due to the proprietary nature of legacy antenna and modem architectures. At SD, one of our goals is to eliminate that confinement and offer ‘network agnostic’ solutions using an open architecture approach. We are currently working to design, develop and customize an antenna solution compatible in Ku or Ka band to support various data delivery requirements while also virtually eliminating near term obsolescence. SD has partnered with QEST Quantenelektronische Systeme GmbH, a worldwide market leader in innovative aeronautical antennas, to develop a new flat panel connectivity antenna for business and military aviation. The electronically steered phased-array antenna system aims to be the smallest and most efficient form factor, bringing high speed connectivity to a wider range of aircraft. SD will be the exclusive provider of this antenna to business aviation, military and government markets globally. SD is working with aircraft OEMs on product specification and development, targeting product launch in late 2020. Once available, the antenna system will become part of SD Xperience, bringing future-proof technology compatible with LEO and GEO satellite networks operating in multiple frequency bands to the portfolio. As a Value Added Manufacturer (VAM) and service provider for Iridium Certus, we are designing and manufacturing new terminals for compatibility with the new network offering, while also providing the service direct to the business aviation community. Iridium Certus will integrate with existing SD hardware and software, including the SDR® Series and SD Hub Series of cabin routers, as well as the SD Pro® platform, to provide customers with features and capabilities like real-time data analytics, cyber security, account management and more. This partnership will help extend the reach of SD’s existing customer base by offering fully global L-band broadband coverage, while creating a complete, end-to-end customer experience for aviators.